The dog called Shell had a lovely owner, someone that wanted to really ensure that her very sweet girl really did find a caring and loving home. 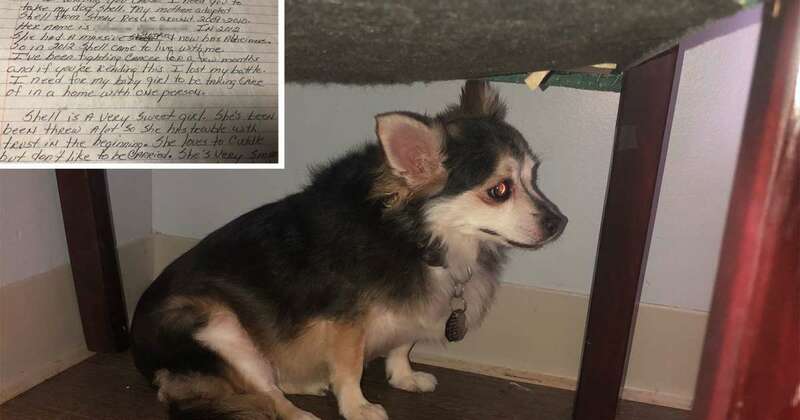 That is really what happened here because it was just last week the little doggie was given to the Stray Rescue of St. Louis with a heartbreaking note attached to the poor dog. 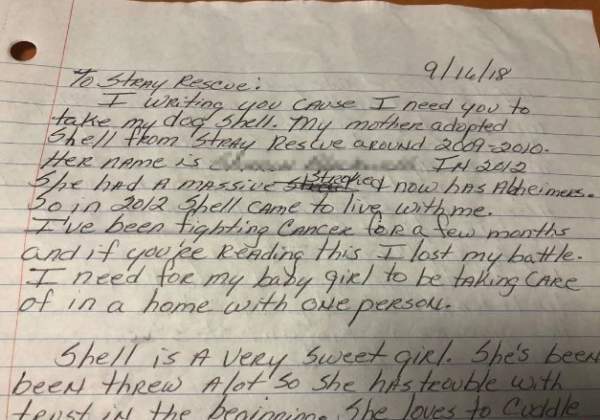 “I am writing you cause I need you to take my dog Shell. My mother adopted Shell from Stray Rescue around 2009-2010 … In 2012 she had a massive stroke and now has Alzheimers. So in 2012 Shell came to live with me. I’ve been fighting cancer for a few months and if you’re reading this I lost my battle. I need for my baby girl to be taking [sic] care of in a home with one person. The dog’s owner had cancer and it was for the second time, they died at their own hand just after they left the dog at the shelter. The shelter really did want to honor the owner’s wishes and set to finding a perfect home and a perfect person to adopt the dog. The shelter received many after many requests for the dog but then had the near impossible task of picking the best one for the lovely dog, to honor the owners dying wishes! They then announced on the Thursday on Facebook that Shell found her ideal match, it was a woman who had lost her beloved Stray Rescue earlier on, it was a great match! We and the shelter staff are truly honored to find that special person for this super special doggie and to honor those very touching requests of the previous late owner.